Real Estate Report: Interest Rates To Go Up? 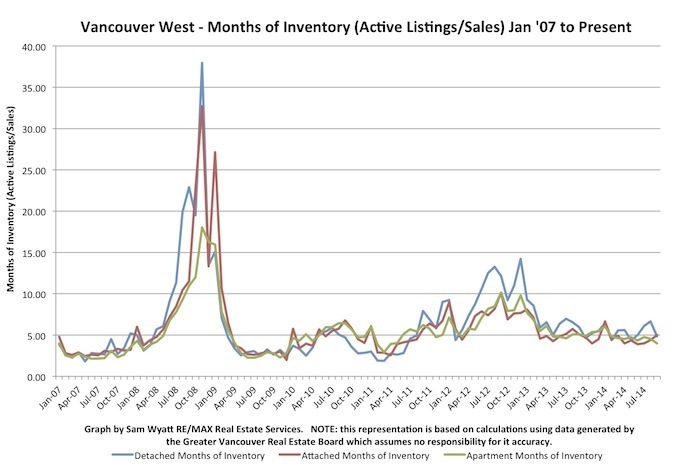 Months of Inventory (MOI) has consistently hovered above and below the 5 months of inventory level since early 2013. The low MOI for all product types has indicated a continuing strong demand for Vancouver West Real Estate.